It works! It’s playable! I can make phantoms go boom! Generally speaking, I tend to get 40 FPS in enclosed areas, 30 in most places, and 20-25 in large areas with enemies and complex lighting. There’s some occasional stuttering, but it hasn’t impacted my experience much so far. Ideal? Hell no. Bearable? Totally. 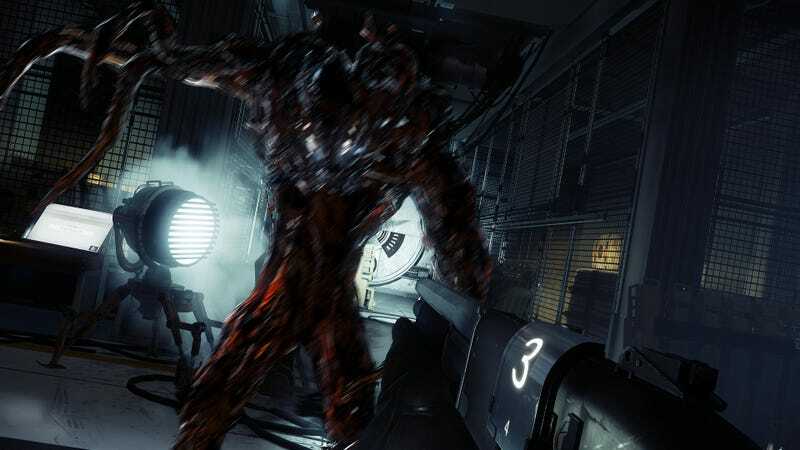 Granted, Prey isn’t all that graphically complex of a game, something enabled by its stark, sterile art style. Still, I dig its look, and I’m all for more games I can play from hotel rooms and friends’ couches. Speaking of, protip: if there’s a mouse loose in your friend’s apartment, and it starts thumping around once every 30 minutes or so after 1 AM, Prey becomes a thousand times scarier—especially if one of your greatest fears is a mouse shitting all over your clothes.